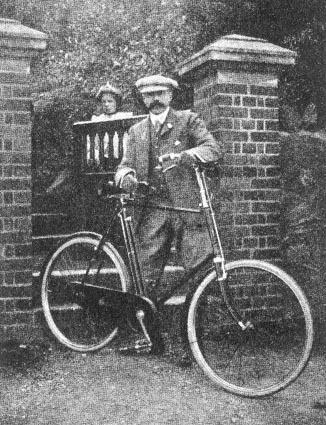 It’s a terrible pun but “Pump and Circumstance” turns out to be a very good radio programme about Edward Elgar’s love of the bicycle. 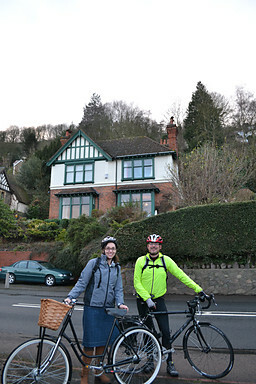 which seems to emphasise his love of his bicycle rather than his love for his wife – with Alice placed well behind the gate to the Elgars’ house in Great Malvern, Worcestershire. I’d also known of Elgar’s enthusiasm for football. He was a great supporter of Wolverhampton Wanderers. In fact, he regularly cycled to see their home matches at Molyneux, a round trip of ninety miles or so. Those two enthusiasms I had used as pegs to introduce his music to students in school assemblies in 2007 to mark the 150th anniversary of Elgar’s birth. And the fact that he married one of his pupils – against her family’s wishes – which added a frisson to the tale. “Twenty Minutes” isn’t limited to the usual seven days’ availability on the BBC i-Player. It seems it will be available for a year or more here. Well worth a listen!